Today I would like to present one of my all-time favorite cocktails, the Dirt and Diesel. This drink is reminiscent of the much more traditional Corn N’ Oil, a potion of blackstrap rum and falernum, a tiki ingredient that I promise I will make one of these days. The Dirt and Diesel was invented by a bartender at one of my favorite Seattle bars, Tavern Law, and it truly does have an industrial sort of flavor from Cynar and Fernet Branca. Shake over ice and double-strain into a cocktail glass. Garnish with a lime wheel. My version was too juicy, and not as balanced, so don’t make it, except switching the Fernet and Cynar is a fun variation. As for the real version of the drink, it is one of my all-time favorite mixed drinks, and an excellent way to enjoy that queen of spirits, Fernet Branca. If you do not have Fernet Branca in your home bar, what are you doing, son? Also, a word on Demerara sugar syrup; Demerara sugar, or turbinado sugar, or “sugar in the raw”, for those of us who are ready, is not as sweet by volume as more refined sugars, and must be made in a ratio of 2:1 sugar:water in order to be adequately sweet. If you don’t have any Demerara sugar, or you are very lazy, I won’t be offended if you make brown sugar syrup instead, and probably no one will really know, but you’ll know, and that should be enough to move your conscience. As with the Whiskey Fix, photo credit goes to my friends Michael Schmid, John Sim, and Matt Barraro. 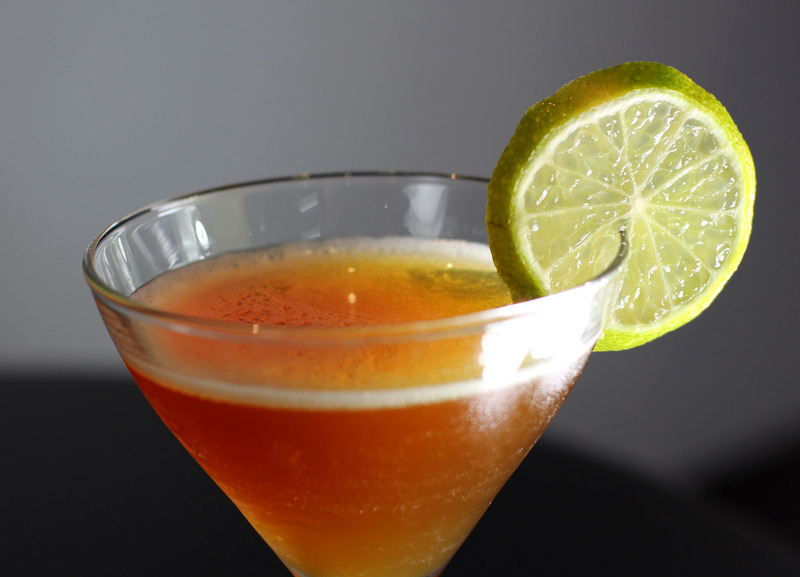 Categories: modern drinks | Tags: bitters, Blackstrap Rum, booze, cocktail, cocktails, cynar, Demerara Sugar, drinking, drinks, fernet, fernet branca, Kraken, lime, mixed drink, rum | Permalink. That looks great, and might give me an excuse to buy some Cynar.